Ok he’s not my boyfriend in that way. He is my close friend that is a male. Anyway, here in “the city of love” I have not found love. I can’t help but wonder if that has anything to do with my friend becoming more and more attractive to me or is he really just awesome?? I have always had more male friends than female. Guys and I get along better and we are not in competition with one another. (Unless we make a bet to see who can get more numbers in one night; which we do occasionally.) I am always around guys. It’s easier for me to relax around them and be real and honest with one another. Females always have the drama going on and I can’t stand airheads and stuck up chicks. That got me thinking, I’m doing a great job of “selling” him and he is an ideal person to date! Unfortunately our school community is way too small for dating (or hooking up) with each other. Everyone is in everyone else’s business. Besides that, I would not want to sully such a great friendship. This is why I need a hot Frenchman to take my mind off of my American friend! Why couldn’t my friend have been unattractive and boring?? We always have such a great time together and enjoy each other’s company. It seems to be getting worse! I know he is off limits but I am increasingly attracted to him. What can I do to make my boy-friend unattractive??? HELP! Does anyone else love to eat? I do! I am greedy and prefer three meals a day with snacks in between. The secret to French skinniness is that they eat smaller portions, the food is expensive AND, they don’t have real breakfast here! If you read my earlier post, French Culture Shock, you know I have touched on this shocking subject before. For breakfast we Americans like eggs, grits, bacon/sausage, homefries, pancakes/French toast, etc. In France breakfast is a croissant and a coffee or hot chocolate. A tasty snack, but where’s the beef?? Don’t panic yet. I have great news. 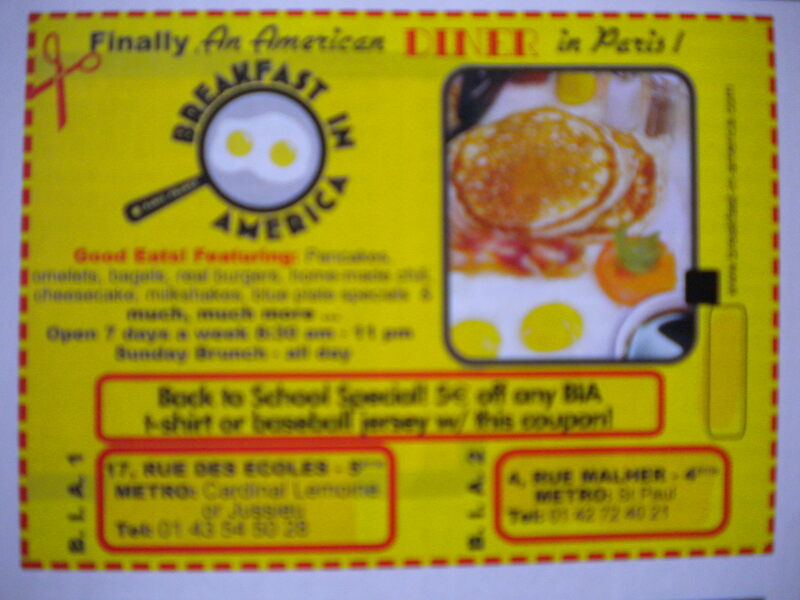 There is a diner (yes a genuine diner) that serves American breakfast in Paris. The restaurant is aptly named, Breakfast In America. Being a Jersey girl, I know what a diner should be. Our state has more than anyone can count. I was skeptical going in thinking, this is not going to be good and its probably not a real diner. I was pleasantly surprised! I ordered fried eggs, bacon, pancakes, and home fries. Best 11 Euro I have spent in a long time! I sat at the bar. There was old American music playing. Waitresses yelled out “Order up.” I felt like I was back at home. The food was delicious. As my belt tightened I thought, “Am I getting full?” I ate real bacon! The pancakes were soft and cooked perfectly. Today was the first time I had seen an egg cooked in a restaurant. They usually eat the raw atop beef tartar (yuck). For all you other homesick Americans in Paris or in France craving a real breakfast make your way to Breakfast In America. They are open every day and brunch is served all day on Sundays. The service was good and the food was great. 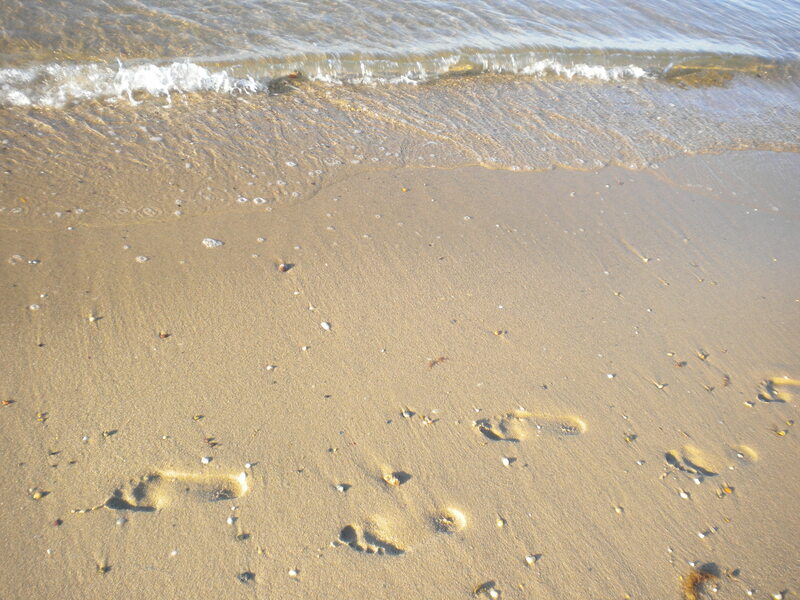 I will be back on Tuesday. It’s not a special occasion or lunch date, just Tuesday. 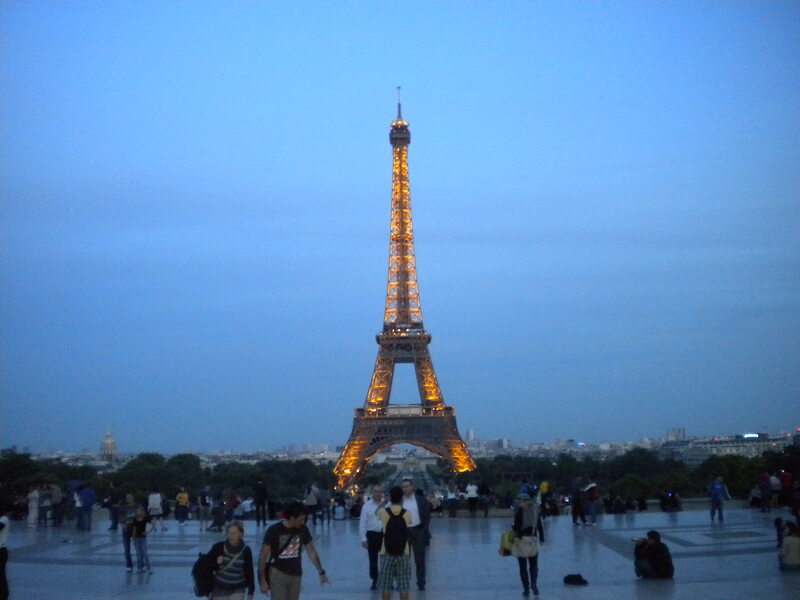 My birthday and celebration in Paris turned out great! It was great. We had lots of champagne, rum, vodka, wine, and one of the boys bought whiskey. Yes we keep it classy. There was also fruit, cheese, vegetables, and baguettes bien sur (of course)! There was about 13 of us in the apartment getting drunk and having a good time when my landlord rang the doorbell. I tried to look as sober as possible and took my birthday tiara off. My landlord spoke the whole time in French and was fussing. I apologized and told her we were a bout to leave anyway to go out. We left en route to the Gibus Club at metro stop Republique. I was told this was a good club in Paris with American music. Ladies were free before 1:00am so we made it in. The music and atmosphere at the club were good. Besides, I had been drinking champagne all night. I ordered a malibu and pineapple at the bar and a vodka tonic for one of the guys. My drink was really good. I had a great time at the club. Pizza Hut is one of the few restaurants that stays open late night in that area. My friend and I had the Lousiane and the Supreme. Delicious. Back in my apartment and I have enjoyed my French, Parisian birthday.